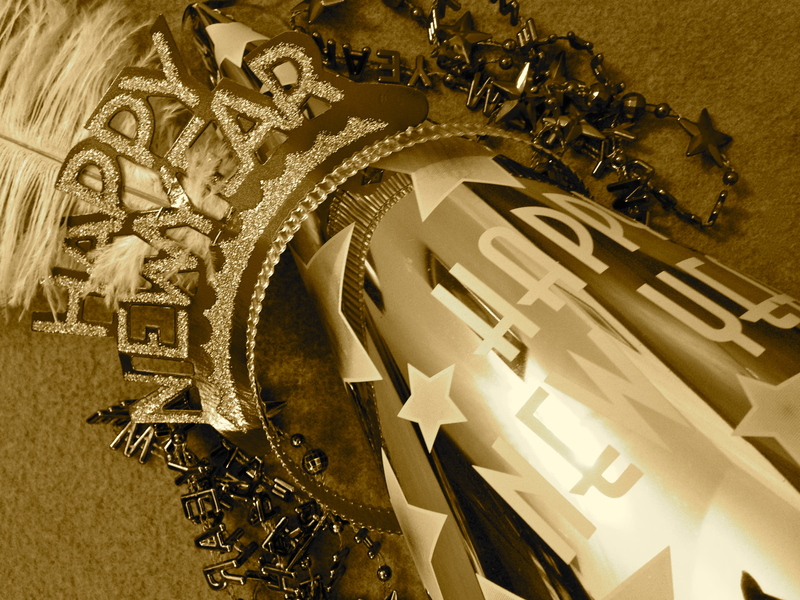 I have this crazy superstition that the way I spend New Year’s Eve, dictates how my year will go. It has happened a few times, so it has sort of stuck with me through the years. On New Year’s Eve 2007, my friend Tandi and I roamed the streets of Manhattan all night, avoiding creepy strangers, bursting into giggles at the slightest provocation, searching for the bar of all bars (as defined by Tandi): Double Happiness. After stopping a few cabs in the middle of third avenue traffic to ask where it was, we finally looked up the address on one of our rudimentary smartphones, and hailed a cab.Unfortunately, after we found ourselves in one of the shadiest parts of Chinatown, we realized that the Double Happiness we had located was actually a Drycleaner, which, as you can imagine, was closed at 3 am. We continued our adventure, hopping from bar to bar, and rode the subway home with the morning commuters, chuckling at our crazy night. The year that followed was just as random and fun: I laughed, danced, met new people, and just generally had a great time. On New Years Eve 2008 I was on vacation in Bangkok with my family, recovering from an awful cold. Unfortunately nobody was in a good mood, and my brother who had gotten my cold didn’t want to come to dinner. It was a somber and serious night. 10 days later, on January 10, 2009, my Grandfather passed away. Even when you know something is coming sooner or later, you are never fully prepared to say goodbye. Although nothing really awful happened after that, nothing great happened either. I started to get frustrated at work, struggling with corporate politics, and by the time I finally got the promotion I wanted, I realized I no longer wanted it. I ended the year by quitting my job and deciding to change direction for a while. 2013 was my craziest year yet, much like the New Years Eve that preceded it. December 31st 2012 was a mishmash of different things, places and people. It started out with a quiet drink at one friend’s apartment, a rowdier crowd at a second place, followed by dinner and drinks at a third place with a different group, ending quietly at an apartment towards the end of the evening. I started 2013 fresh into what was my dream job for one of the world’s largest retailers. I traveled both internationally and across Canada, had all sorts of unique experiences. At the beginning, I genuinely felt like I was starting to learn the ropes. Over the summer, that changed for the worse. By August, I was physically and emotionally exhausted, with a bubbling of anxiety that slowly, but steadily expanded over time, threatening to suffocate me from within. I was unhappier than I could ever remember being. I quit my job that month, and spent September with my family in India. It was then that I realized what I had to do. By mid-to-late October I began the long process of saying goodbye to my closest friends from my 15 years on the North American continent, along with the craziness purging, packing and re-acquainting myself with the Indian bureaucracy. I ended the year in a happier calmer place, though missing lots of people I had left behind. Last night, for New Year’s Eve 2013, my parents and I went out for a nice Italian meal, and returned home around 11 pm. We brought in the New Year watching Salman Khan do some sort of bizarre gyration dance on a Bollywood NYE Show, toasting white wine on the couch in our pajamas. It was perfect. Although this is little more than a silly superstition, I would like to think that 2014 will be calmer and more grounded, and that I will find happiness in the littlest things. I wish the same or better to all of you. Happy New Year. Hope your 2014 is more grounded and relaxed than 2013 was.